How to Find the Right Kindergarten Homeschool Curriculum? 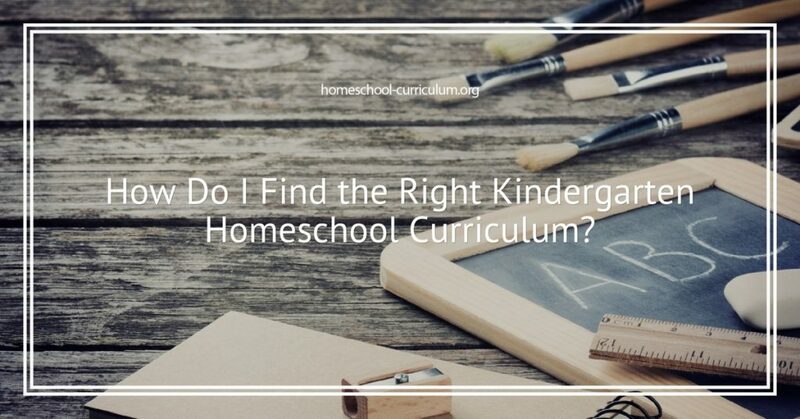 Home homeschool resources How Do I Find the Right Kindergarten Homeschool Curriculum? You’re probably no stranger to the #1 New York Times bestseller “All I Really Need to Know I Learned in Kindergarten” by Robert Fulghum. It’s a world-renowned piece of literature that talks about how the most basic aspects of life bear its most important opportunities. So why do we make our lives so complicated, including our kindergarten homeschool curriculum? Why do we put so much pressure on ourselves and our children at the young age of 5 or 6 to be reading, writing, and doing simple math when they have many years in their future to learn these subjects? I recently watched a documentary called “School’s Out,” and I would highly recommend it. It talks about how what we need to learn in kindergarten is how to play and socialize. Play can be independent or in groups, and both are important to development in a kindergarten homeschool curriculum. Children do need to learn how to entertain themselves and let their imagination take flight. Independent play, as well as group play, offer problem-solving skills, communication, and behavior. Find homeschool resources in your community to help your child develop social skills in group settings, and that also offer independent time whether it’s at home or a museum. Reading is one of those subjects that can feel like pulling teeth. I know my mom felt that way when raising my siblings and me. We all dreaded reading time, but we were required to do it for a minimum of 30 minutes a day at home. Maybe reading chapter books is not the route to go for your homeschool resources. Let them pick a subject, topic, or type of book that interests them. And if books don’t hook them in, try focusing on reading instruction manuals for arts, crafts, and projects that would be of interest to them. Or reading recipes for meals and food they enjoy to eat and make. Building crafts and projects help develop fine motor skills and gross motor skills. It can be something as simple as a birdhouse or as big as a treehouse. Try spicing up your homeschool curriculum by getting outside. The outdoors offer all kinds of learning from biology to weather to geology to astronomy. It’s the simple things in life that often offer the best learning platforms. Construct your curriculum around play, and your children won’t even know they are learning while being homeschooled. For more tips on how to create the best homeschool curriculum, subscribe to our website.